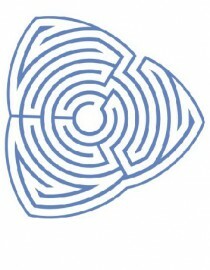 In his story, “The Garden of Forking Paths,” Jorge Luis Borges explores the labyrinth, the writer, and perhaps above all, the nature of time. However, these themes are juxtaposed against another common trope in Borges’ work: the duel, which occurs between Dr. Yu Tsun, Captain Richard Madden, and the man Tsun converses with, Stephen Albert. Tsun’s discussion with Albert is complex, dizzying, and seemingly irrelevant, especially considering that, narratively speaking, the only importance of Albert is that his name represents a city, which means once he is killed, the Germans will bomb Albert. But this assumption becomes false when Albert’s discussion on Ts’ui Pen, who is (coincidentally?) Tsun’s grandfather, seems to genuinely affect Tsun’s perception of time. Upon close inspection it becomes clear that Pen’s theories, which argue that there are infinite dimensions of time, both convince Tsun and accurately describe the nature of reality in the story, which causes despair for Tsun, even as he completes an act he thinks to be heroic, because it means that he has not, and cannot prove, that his people are heroic in every possible reality. Tsun is largely motivated to kill Albert to serve the Chief, ostensibly a high-ranking German officer, to show that Chinese people can be heroic. Tsun explains retrospectively: “I didn’t do it [kill Albert] for Germany, no. I care nothing for a barbarous country which imposed upon me the abjection of being a spy” (2). Rather, he writes, “I did it because I sensed that the Chief somehow feared people of my race—for the innumerable ancestors who merge within me. I wanted to prove to him that a yellow man could save his armies” (2). The narrative, then, is quite simple: Tsun plans to kill someone named Albert to alert the Chief that the British artillery are located in a city called Albert, to show that Chinese people can be heroic. However, the narrative ends both abruptly and with a deep sense of remorse from Tsun. He concludes by explaining that the Chief “does not know (no one can know) my innumerable contrition and weariness” (7). This assertion of guilt and regret is particularly confusing because Tsun has resigned himself to being “a man already dead registered” (3). Thus, he has killed Albert as he intended to do, which, as he predicts, leads to death, yet feels regret for doing so, which invites the following question: what motivated the change? The conversation between Albert and Tsun, while seeming irrelevant plays a crucial role Tsun appears to be convinced by Pen’s theories regarding time. Pen writes: “I leave to the various futures (not to all) my garden of forking paths” (5 emphasis his). Though vague, Pen’s words hint at his theories regarding time – namely, that not all dimensions of time will feature his garden, suggesting that there are alternate dimensions of time. Albert explains that in most novels “each time a man is confronted with several alternatives, he chooses one and eliminates the others; in the fiction of Ts’ui Pen, he chooses—simultaneously—all of them. He creates, in this way, diverse futures, diverse times which themselves also proliferate and fork” (5-6 emphasis his). In Pen’s mind, dimensions of time become infinite, because every decision only duplicates further decisions, which then duplicate further decisions to ad nauseam; further, believing that Pen’s theory “is only a theory” acts as a simulacrum, for the text indicates that Tsun is convinced by this explanation. Albert explains: “in one of the possible pasts you are my enemy, in another, my friend” (6). While this example is subtle, it seems provoking enough to penetrate Tsun’s mind. He thinks later: “It seemed to me that the humid garden that surrounded the house was infinitely saturated with invisible persons. Those persons were Albert and I, secret, busy and multiform in other dimensions of time” (7). This example is particularly telling, for it demonstrates the Tsun is either imagining or somehow experiencing an alternative dimension of time. A sort of shift has thus taken place in Tsun’s mind, so that he no longer believes that Pen’s book “is an indeterminate heap of contradictory drafts” (4-5), but rather, that it perhaps accurately describes reality. This change in Tsun’s perception is important, for it seems to explain the despair he feels at the end of the story. Tsun concludes, after explaining that he has killed Albert, by saying: “No one can know…my innumerable contrition and weariness” (7). The specific word choice is puzzling, for it indicates guilt and regret, while also hinting at a sort of tiredness. However, it is the word “innumerable,” which seems to hold the most importance, for this is the exact word that Albert used to describe dimensions of time. Albert says: “Time forks perpetually toward innumerable futures” (7 emphasis mine). In other words, Tsun’s feeling of contrition is innumerable, just as time – at least according to Pen – creates innumerable futures. This connection suggests that Tsun feels regret and weariness because he believes that there are an infinite number of alternative dimensions of time, which means that his act of heroism, intended to impress his Chief, is insignificant because in a near-infinite number of realities he did not prove his people were capable of heroism. Before Tsun heard about Pen, he believed that time was linear and singular, meaning that he could and would prove himself and his people in the only reality that existed making his task both achievable. But, as Albert explains: “We do not exist in the majority of these [all possibilities of time]; in some you exist, and not I; in others I, and not you; in others, both of us” (7). Thus, because an infinite number of realities exist, Tsun has not, and indeed cannot, act with heroism in every dimension of time (2). His response to this knowledge is then twofold: a sense of regret because he now believes his task was impossible and thus not worth attempting; and weariness, which is perhaps felt in response to recognizing that even after devoting full effort to this task, he was still unable to achieve it. Then, against his belief at the beginning of the story – that killing Albert was worth dying for – Tsun despairs because he recognizes the insignificance of himself, his actions, and his reality, in light of the near infinite number of alternate dimensions of time. To say that it is only Tsun who believes Pen’s theories acts once again as a sort of simulacrum, for the story itself seems to exist in world where time operates as Tsun says it does. The sheer coincidences in the story seem to indicate that the present story is only a version of the story. For example, by coincidence the British have developed artillery in a city called “Albert.” From here, by coincidence Tsun finds a man named Albert; who by coincidence is a Sinologist; who by coincidence studies the work of the obscure, often disregarded Pen; who by coincidence is Tsun’s grandfather, which seems to make Tsun more interested in listening to, and eventually adopting Pen’s views on time. While this could be an instance of a series of improbable coincidences (which is nothing new in the world of fiction), the text seems to indicate that these coincidences are simply the result of time embracing “all possibilities” (7 emphasis his). Albert posits: “We do not exist in the majority of these times; in some you exist, and not I; in others I, and not you; in others, both of us” (7). Of course, he could have just as easily said, “In some realities your grandfather wrote this, in others he did not; still in others I was not named Albert; still in others the British did not exist” (Nelson, “The Infinite Labyrinth of Time”). The presence of these coincidences seems to hint that the story’s reality embraces all possibilities – meaning that a story of improbable, perhaps even impossible coincidences was simply bound to happen in one of the infinite dimensions of time, which is in accord with Pen’s theories of time. The reality of the story seems to exist in a reality of infinite dimensions of time, and the story does not resolve an opening quotation mark, which suggests the story itself is infinite. The frame narrative begins with yet another simulacrum, when the narrator explains that “[the] first two pages of the document are missing” (1). While this explanation alerts the reader to the missing beginning pages, it fact may also distract the reader from another truth: that the framed narrative features an opening quotation mark that is never closed. This absent quotation is particularly noteworthy, because it signifies that the document has not properly ended. This omission also seems important at it relates to Albert’s statements that an infinite story embraces all possible outcomes (6). Thinking in this way, the missing quotation mark suggests that this version of the story has ended, but that there are an innumerable number of alternative versions of this story that come after it. For example, Tsun says that in the first chapter of Pen’s novel “the hero dies [and] in the fourth he is alive” (5), which occurs because Pen embraces all possibilities of time. Similarly, it seems that the ending of the story is an interruption or incomplete ending that should have been followed by another version of the story, which embraced different possibilities. If true, the only way the story could have ended the quotation is if it told the story differently each time – embracing every single different choice and then exploring the ramifications of that choice to ad nauseam. Of course, such a story would be infinite. It seems then, that the narrator introduces a quotation mark without ever resolving it, in order to demonstrate that the story, like Pen’s novel, is both textual and infinite. Borges story, “The Garden of Forking Paths,” is perplexing, imaginative, and undeniably dense. However, close readings seem to reward the reader with, if nothing else, challenging, mind-altering thoughts. The narrative itself is relatively simple; but one should note that the narrative seems to be used in order to introduce a discussion on the nature of time. The discussion of time however, seems to have the utmost importance for the narrative itself, since it convinces Tsun to believe that dimensions of time are infinite, which causes him contrition and weariness. In this way, the theme of time is important both as a metaphysical discussion, and in the way that it affects Tsun emotionally. Moreover, the logic of the story seems to indicate that time is, in fact, infinite in dimensions, which is noteworthy, since the story creates enough room for interpretation to suggest that the story itself is infinite. But even this thought perhaps acts as a simulacrum that diverts the reader’s attention from the unlikely and terrifying possibility: that our present reality exists alongside an infinite number of realities separated only by time. Borges, Jorge Luis. “The Garden of Forking Paths.” CS 32: Puzzles, Games, & Algorithms. Trans. Donald A. Yates. Annotated Robert R. Snapp. 2014. 1-7. Print.